Have you ever experienced 360 View on YouTube or somewhere else? Are you eagerly waiting to see another VR Video format without a 360-degree view? Here we go! YouTube come up with a new video format for Virtual Reality without having a 360-degree view on it. The picture covers 180-degree perspective in a 3D virtual reality Format. 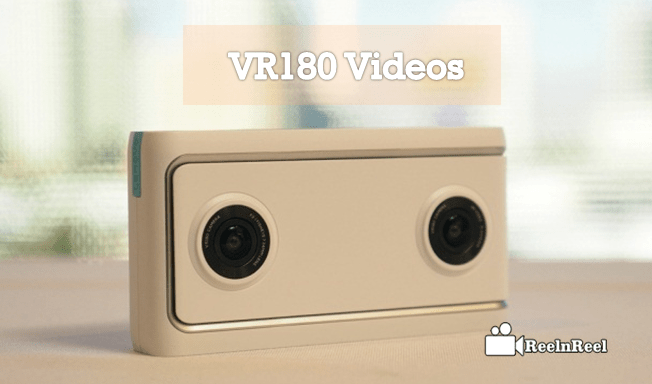 VR180 focus what is in front of you, with high resolution looks great on mobiles and desktops provides seamless Virtual reality experience when you see through daydream, cardboards and any VR headsets. VR 180 cameras are intended to be a simple and straightforward way to the people who never experienced the Virtual reality. The existing 360 cameras are not creating realistic scenes from the depth. VR180 can only capture the half through the dual lenses. So that only front half video will be viewed. VR 180 is a collaboration between the YouTube and the Google’s daydream VR team. VR180 could make the creators more easy for creating high-quality VR experience. VR 180 videos can be viewable via Playstation VR YouTube app and also supports Live Video streaming. You can edit the VR 180 videos through Adobe Premiere Pro. It takes less space/sharpness at the given level of sharpness. It gives higher pixel density because of limited field view. 4k quality video all the pixels are concentrated at front view instead of waiting on back view. VR180 videos can save time dragging around the space. YouTube has supported the 360-degree video and Virtual reality videos for some time, now its cut down the videos to half part of VR 180 degree videos. It’s terrible and expensive to buy the 360-degree video shooting cameras, lenses, and equipment. To make accessible to the VR content for creators, YouTube supported to creating a new video format called VR180 YouTube videos. This new format supports easy Live video streaming through YouTube. YouTube also has content for YouTube VR180 videos for beta testers version. As we mentioned earlier, VR180 is a collaboration of YouTube and Google’s products. Google is partnered with Lenovo and YI Technology to make VR 180 compatible cameras. YouTube says that eligible content creators can signup for loner 180 cameras at a YouTube Space to check out the playlist of new VR180 videos how they are working. VR 180 cameras will be on VR180 videos which will provide immersive 180 degrees VR experience when you viewed through VR Headsets, and it looks normal when you see on 2D computers and phones. Google partnered with the Lenovo and YI technology to create outstanding VR180 seminars for VR180 creators. Google said that VR cameras are easy to work point-and-shoot cameras come up with the similar price tag. VR creators, developers, and Viewers can sign up on Google VR Website for VR180 program to check and view the playlist of VR180 videos and to experience the VR180 videos. VR Cameras come with the same prices and without loss in pixel quality. These VR180 degree cameras give you 3D immersion with lossless VR experience. Coming to resolution choices VR180 cameras require less processing power for smooth playback. Manufacturers need not worry about the high-quality sensors, bigger cameras, parallax and stitching problems. VR180 cameras are cheaper than 360 cameras if you consider some points. VR180 DIY camera ring is more affordable to make it. YouTube is expecting to get VR180 camera from Lenovo. LG and YI to experience the VR180 Videos. These three companies are working with Google for developing cameras and videos from content creators. YouTube new VR180 Video format with the half screen two lenses providing 3D stereoscopic and immersive VR experience.